On 6 March 2019, Arizona Senator Martha McSally gave testimony at an armed services committee hearing that she had been raped by a senior officer while serving in the US Air Force. She said that she did not report it at the time for fear of retribution. 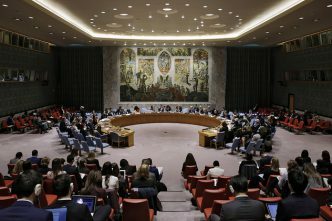 While the sexual abuse of women by peacekeepers in host countries has generated significant policy changes in UN peacekeeping, sexual abuse within missions remains a little-discussed issue. 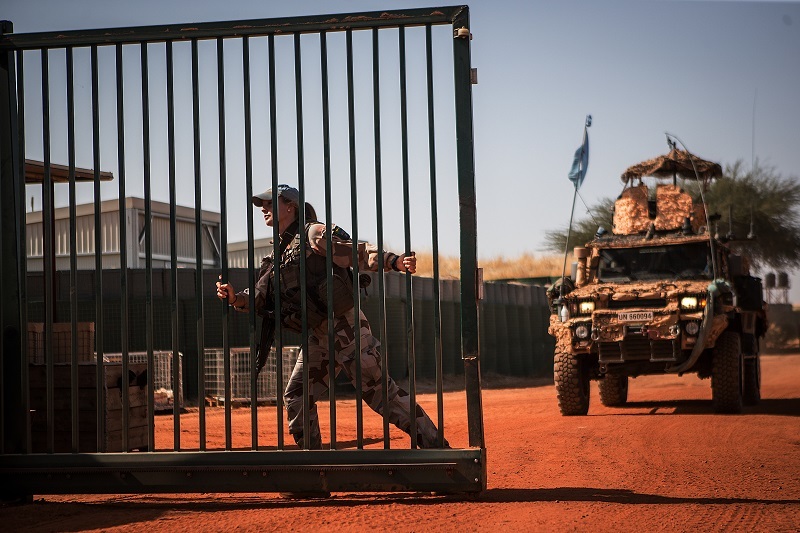 It’s one of several problems faced by female peacekeepers that come from the peace operations themselves, and not from the challenging environments in which they work. Between 1989 and 1993, just 1.7% of military peacekeepers deployed by the UN were female. In 2001, the proportion of women in military posts serving in UN missions had increased to little more than 4%. Currently, the number of female soldiers serving in operations abroad is 2,930, or 3.87% of all peacekeeping troops. Despite these low numbers, having women in peacekeeping missions is associated with success. 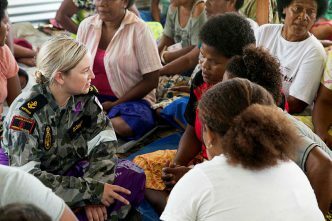 The presence of women in peace operations offers several benefits. 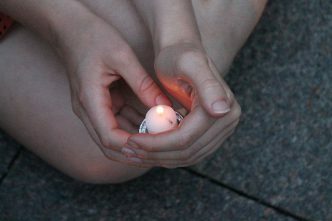 First, in a security environment, it enables security precautions to be applied to both female and male populations. Second, as women are increasingly able to patrol, their access to female members of the community in the area of operation is significantly better than men’s. Also, because women can usually speak with both men and women, they access intelligence from all members of society and therefore obtain a more holistic view of the security environment. Third, in highly volatile security environments, the presence of women at checkpoints has been credited with promoting a less confrontational atmosphere. In addition, access to women’s networks enables female peacekeepers to consult with the non-elite sectors of the population who may have very different requirements for an equitable peace. This can help in developing a more representative solution at the mediation table. It’s important to note, however, that women are not only effective in ‘women-only’ spaces. Research has found evidence of women’s effectiveness across all aspects of security; for example, in Liberia, the women-only police unit in the UN mission (UNMIL) demonstrated competency in riot control. Women in peacekeeping currently face three main challenges: ‘the exclusion of and discrimination against female peacekeepers; the relegation of female peacekeepers to safe spaces; and SEAHV [sexual exploitation, abuse, harassment and violence] of female peacekeepers’. Exclusion and discrimination can take many forms, but a key constraint is that national militaries frequently send combat units to peacekeeping operations. Indeed, at the UN mission in Lebanon (UNIFIL), European units have often deployed special forces, which usually don’t contain women. 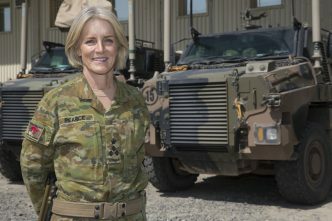 Another problem is that oftentimes militaries simply don’t have enough women in their armed forces to supply a gender-balanced force. Encouragingly, though, armed forces that have a higher proportion of women do tend to send more women. These limitations don’t seem to apply as often to female police officers. It has been found that women serving in national police forces have the agency to apply individually, or are selected for peace missions, which is why in general we see better representation of women in this area. Exclusion can also come from force commander rotations. In 1992, the incoming force commander at the UNIFIL mission explicitly forbade women to undertake frontline military roles. Despite protests from female soldiers across UNIFIL, the policy remained in place for the duration of the force commander’s tenure. A further constraint on the inclusion of women in peacekeeping, and in the peace process more generally, has been the distorted narrative on women from UN headquarters. As Laura Shepherd has noted, women are sometimes schizophrenically written about as victims in need of protection or superheroines capable of representing all women. Neither of those characterisations sufficiently captures the reality of women’s lives or the structural constraints they experience in particular environments. Male colleagues’ perceptions that women are in need of protection can lead to their relegation to safe spaces, which prevents them from taking on certain roles. This experience was noted by peacekeepers in the NATO-led International Security Assistance Force mission in Afghanistan, where male colleagues tried to prevent women from speaking to men in the villages they patrolled. In some missions, women have been prevented from leaving the base, while their male colleagues are free to do so, in the name of security concerns. Research has also found that female soldiers are also less likely to be deployed to missions in countries that have low levels of development and/or have experienced higher levels of violence, especially sexual and gender-based violence. As these countries are logically in greater need of gender sensitive peacekeeping, this practice appears counter-productive. As noted above, SEAHV is a further problem for female peacekeepers, though it’s unclear whether the threat comes more from within militaries themselves, or from the environment in which they operate. Sexual violence within militaries has been attributed to what is termed a ‘warrior syndrome’ that promotes hypermasculinity; but it’s hard to know the actual number of victims. A Rand report in 2015 found that fewer than one-third of attacks within the US military were reported and 52% of victims who did report the incident faced retribution from senior officers for doing so. In the UNMIL mission, 17% of women listed sexual harassment within the mission as the biggest impediment to completing their duties. 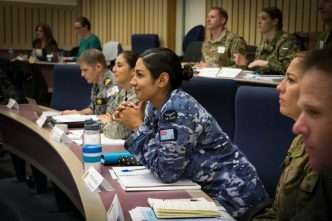 While there are unique advantages to female deployment in peace operations, as Claire Hutchinson noted recently at an ASPI workshop, the diffusion of the WPS agenda should focus on full participation. Increasing female representation in peace operations needs to be done using an approach that includes women in all aspects of military activity and which does not relegate them to specialised spaces, such as care-giving, support roles or as providers of gender-sensitive advice. Effective leadership in peacekeeping not only requires participation by both men and women but calls on a range of different skill sets from both genders. Ultimately, UN peacekeeping is a sum of its parts—it’s not just a question of changing the shape of peacekeeping missions; changing the military cultures that constitute them is also essential. Finally, it is well to remember that peacekeeping operations are vehicles for advancing local reforms, so performance on the ground does matter. Leaving a legacy that champions gender equality is essential to help promote reform in receiving states and their security institutions. Vanessa Newby is an assistant professor at the Institute of Security and Global Affairs at Leiden University in the Netherlands. Image courtesy of the United Nations.